* Does your home have GFCI outlets in the proper locations? They are required in Kitchens, Bathrooms, Exterior, or anywhere water may be present. These outlets protect you from electrical shock in case of an accident! *Are you safe from electrical fires in your home? AFCI devices are required on all 120 volt circuits! Arc Fault Circuit Interrupters save lives, protect individuals and families from injuries and make homes safer. AFCIs have been thoroughly field-tested. Underwriters Laboratories, the National Association of State Fire Marshals (NASFM), the U.S. Consumer Product Safety Commission (CPSC), and other experts have found AFCIs to be reliable and effective. Fire safety groups, firefighters and fire marshals, fire inspectors and burn survivors support AFCIs as a proven technology that is advancing electrical fire safety. Think of surge protection as a bouncer at a nightclub. He may only let certain people in and quickly tosses the troublemakers. Getting more interesting? Well, a good whole-house surge protection device does essentially the same thing. It allows in only the electricity your home needs and not the unruly over-voltages from the utility—then it protects your devices from any trouble that can occur from surges inside the house. Whole-house surge protective devices (SPDs) are typically wired to the electric service box or meter base and are located nearby to protect all the appliances and electrical systems in a home. Homes are in more need of whole house surge protection today than ever. Lightning isn’t the biggest danger to electronics and other systems in the home. “Most people think of surges as lightning, but 80 percent of surges are transient [short, intense bursts], and we generate them ourselves,” says the expert. “They’re internal to the home.” Generators and motors like those in air conditioning units and appliances introduce small surges into a home’s electrical lines. “It’s rare that one large surge will take out appliances and everything at one time,” explains Pluemer, but those mini-surges over the years will add up, degrade the performance of electronics and cut short their useful lifespans. Whole house surge protection protects other electronics. You may ask, “If most of the harmful surges in a house come from machines like AC units and appliances, why bother with whole-house surge protection at the breaker panel?” The answer is that an appliance or system on a dedicated circuit, like an air conditioning unit, will send the surge back through the breaker panel, where it can be shunted to protect everything else in the home, the expert says. *Where do power surges come from? Damage from electrical transients, or surges, is one of the leading causes of electrical equipment failure. An electrical transient is a short duration, high-energy impulse that is imparted on the normal electrical power system whenever there is a sudden change in the electrical circuit. They can originate from a variety of sources, both internal and external to a facility. The most obvious source is from lightning, but surges can also come from normal utility switching operations, or unintentional grounding of electrical conductors (such as when an overhead power line falls to the ground). Surges may even come from within a building or facility from such things as fax machines, copiers, air conditioners, elevators, motors/pumps, or arc welders, to name a few. In each case, the normal electric circuit is suddenly exposed to a large dose of energy that can adversely affect the equipment being supplied power. A surge protection device (SPD), also known as a transient voltage surge suppressor (TVSS), is designed to divert high-current surges to ground and bypass your equipment, thereby limiting the voltage that is impressed on the equipment. *It is POWER OUTAGE TIME again. Installing a back up generator is your family's Safety Net in the event of a power outage. Back up your whole house or just the essential circuits. The option is yours. It is more affordable than you may think! 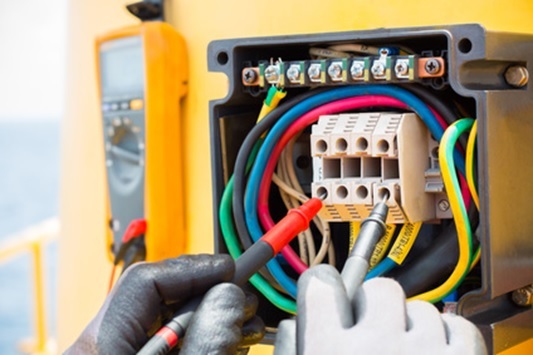 *Whether you need an electrical panel upgraded for HVAC equipment, old fuse box replaced, wiring for new construction, installation of a generator, a light fixture repaired or installed, or a safety evaluation, we are confident you will appreciate the neat and professional work we do.